We shouldn’t get ahead of ourselves and this is why the actual procedure and checklist will have to wait. The first thing every future used car buyer needs to figure out is their budget. And we aren’t talking about just the price of the purchase. Your transportation needs and the frequency at which you will be using your car will determine how much money you will need to maintain it. For instance, there will be affordable cars for less than £6,000 but if you can’t get out of the car workshop, they aren’t any good, are they? So, make sure you also check the fuel economy or simply inspect the listing thoroughly. In case you don’t want to deal with shady sellers or simply people who you do not know, you can always go to trusted companies which have their rental cars for sale. You heard that right – rental cars. Hertz is among the leading companies in that field and they will gladly sell you an ex fleet car for a good price. Trusting Hertz is a completely painless process because they will never hide anything about their cars. Not only that, but you can also get an extended test drive which will make you completely familiar with how the car behaves. If you get a weekend test drive, you can also visit any mechanic you wish in order to have them check the car. How good of a deal is that! But what sort of a car sales deal is that? Well, it is called Hertz Rent2Buy and it completely revolutionizes both the car rental and the used cars sales businesses. What they do is let you take a car on a 5-day test drive i.e. a simple car rental. Once it is time to return the vehicle you get to decide whether you want to buy it from Hertz for a small price. This way you also get the test drive for free. If not, you just pay for the car rental without any further obligations. 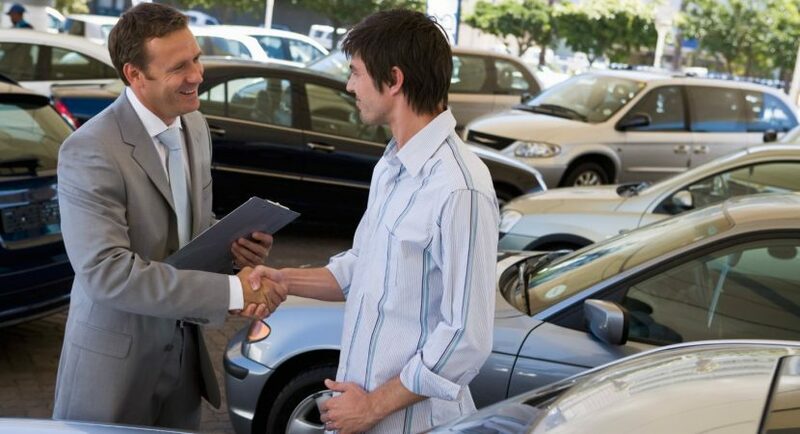 What this great service does is to completely alleviate the whole procedure for buying a used vehicle. The checklist for buying a used car that you should otherwise compile is almost useless here because you are dealing with a licensed company with great traditions and history in this sector. •	Maintenance records. Why is it important to check the maintenance records? Read here. None of the above will give you a hard time when you deal with serious people. Otherwise, the above checklist turns into a minefield. You may find out that the car has already been re-sold once or twice. There’s a chance that there’s a fatal damage caused to some of the parts which will need tons of cash to repair. Not to mention that the paperwork and the insurance are often the main reason people overpay for crappy cars. You need to check the car’s insured value and you should also make sure that there haven’t been any claims against the car in recent years. All in all, you never want to get into the legal matters alone. This is why going to a trusted seller of used cars who kept strict records of every vehicle is what you should do. Buying a used car in the UK doesn’t have to be a pain anymore. Meta: Private dealers may give you one tricky procedure for buying a used vehicle. However, if you opt for Hertz Rent2Buy you will avoid all the obstacles along the way. Challenging the Conventional: What Is Holding Back the Mass Production of Electric Cars? 2016 Lexus GS F Will Cost $84,440 in the U.S.